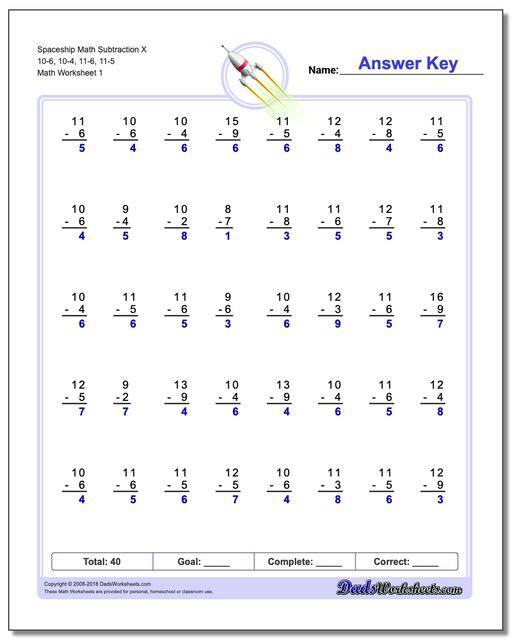 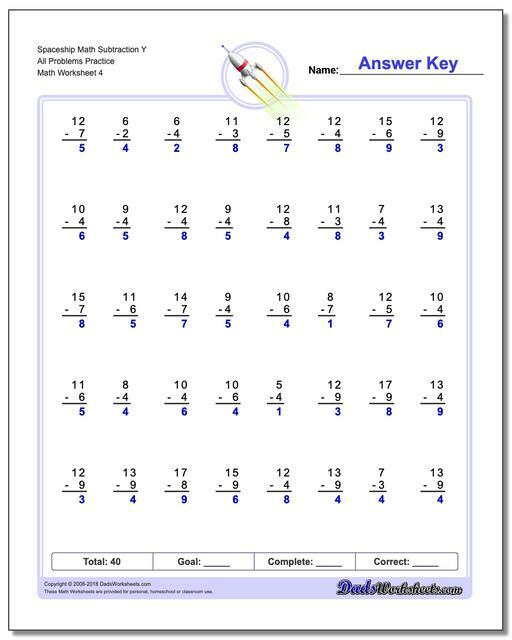 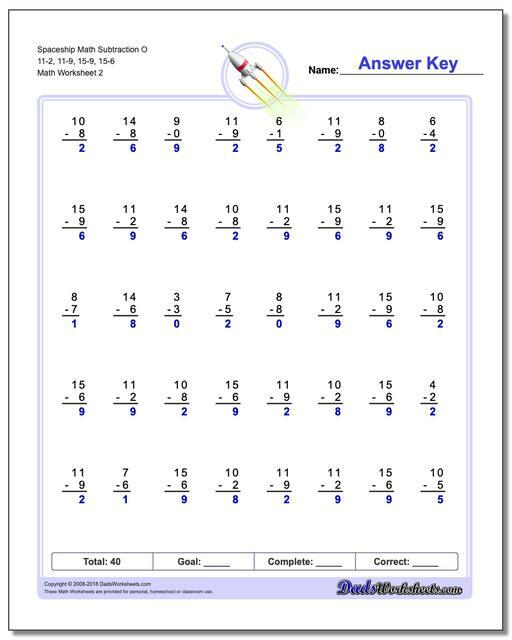 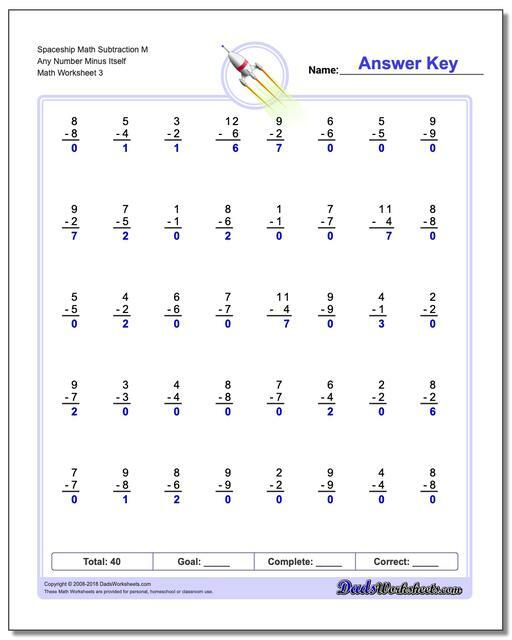 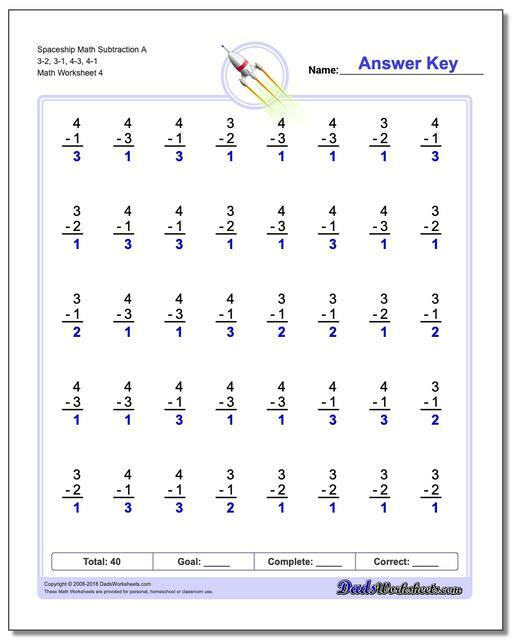 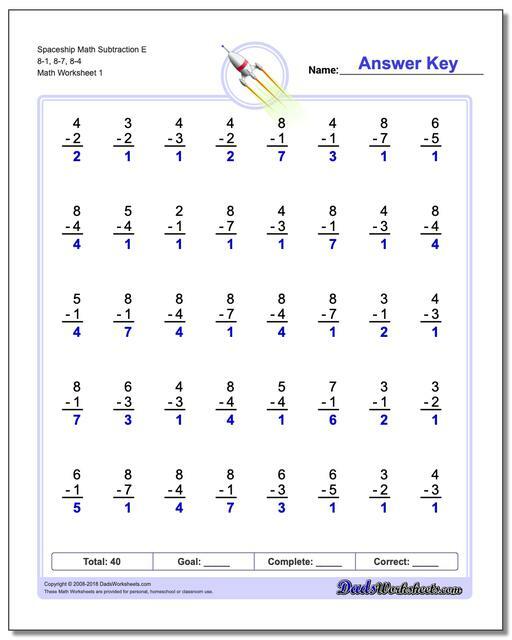 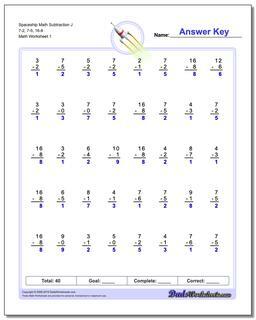 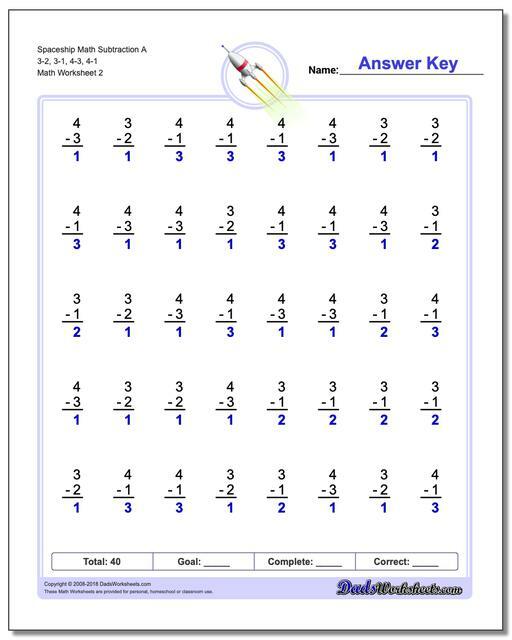 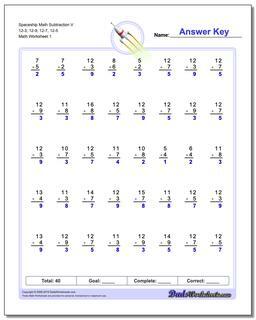 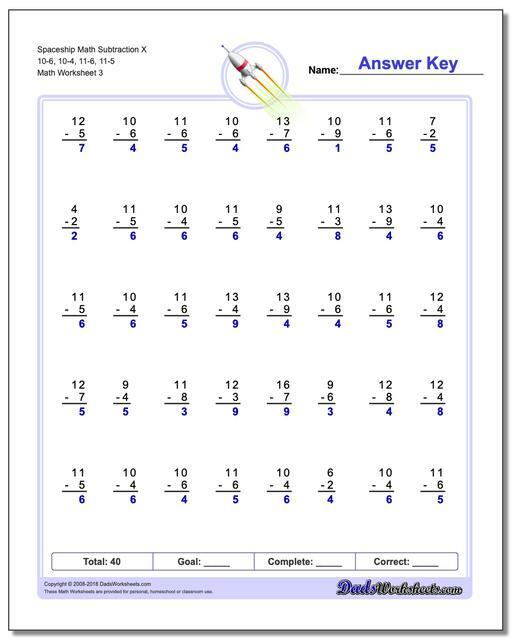 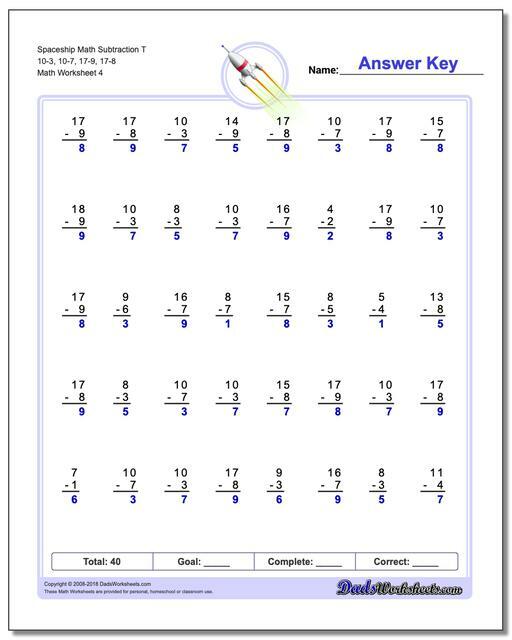 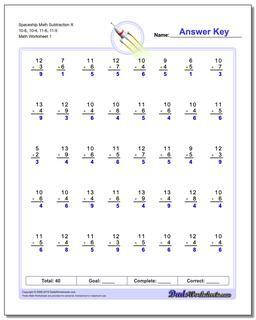 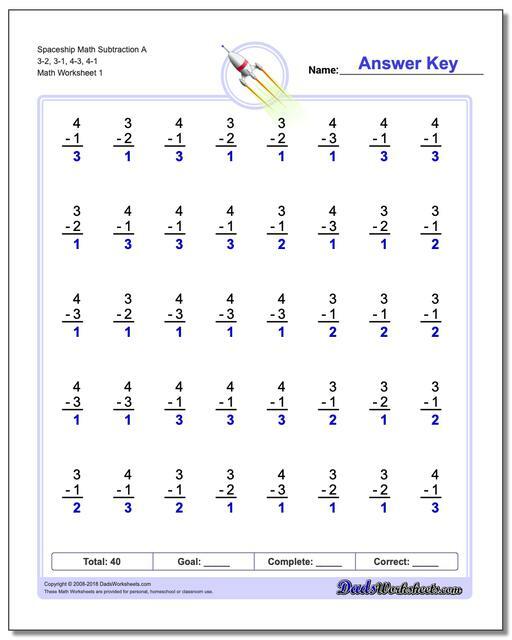 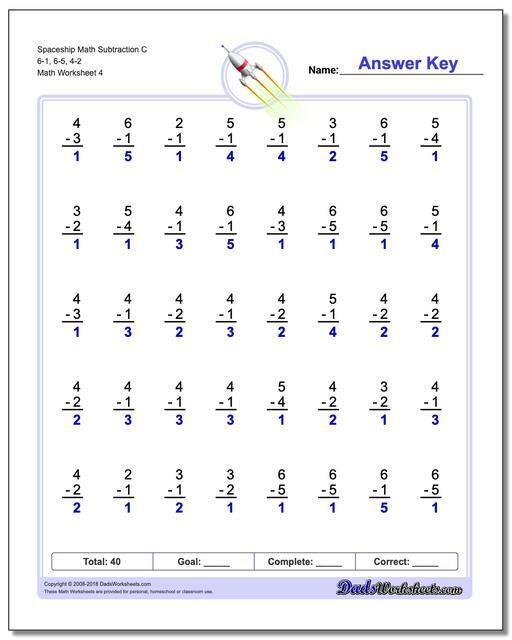 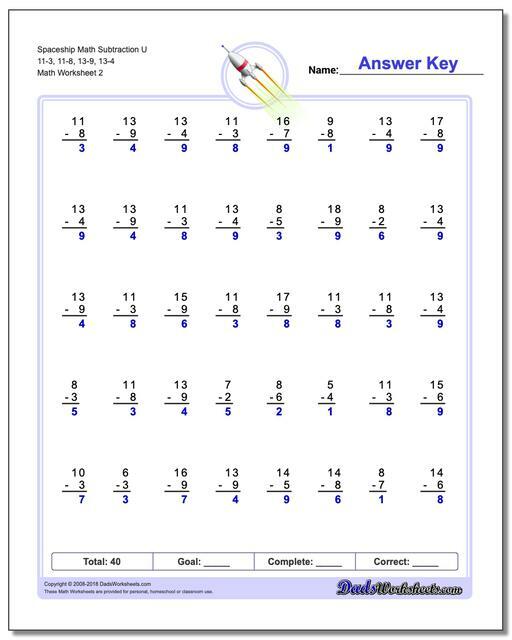 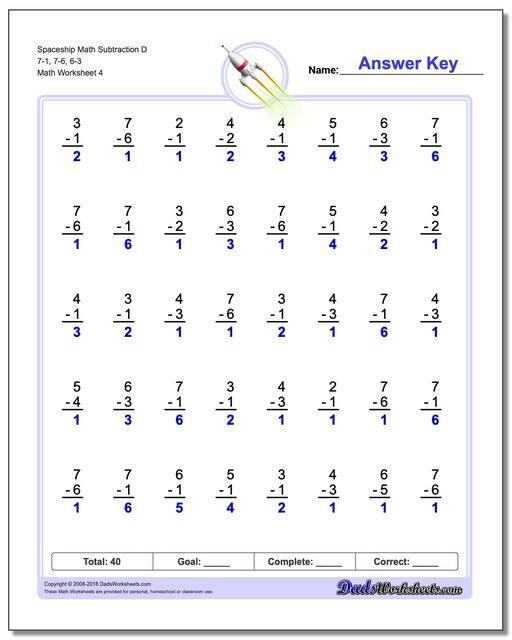 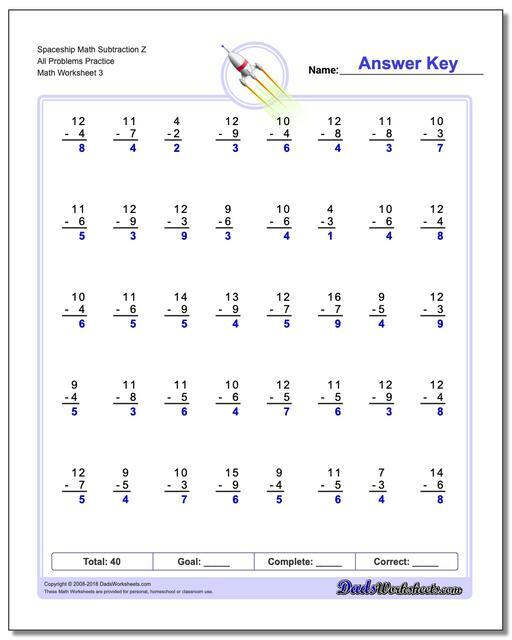 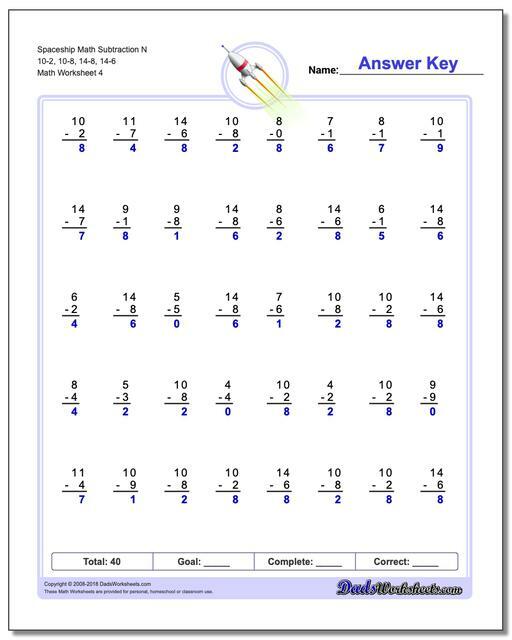 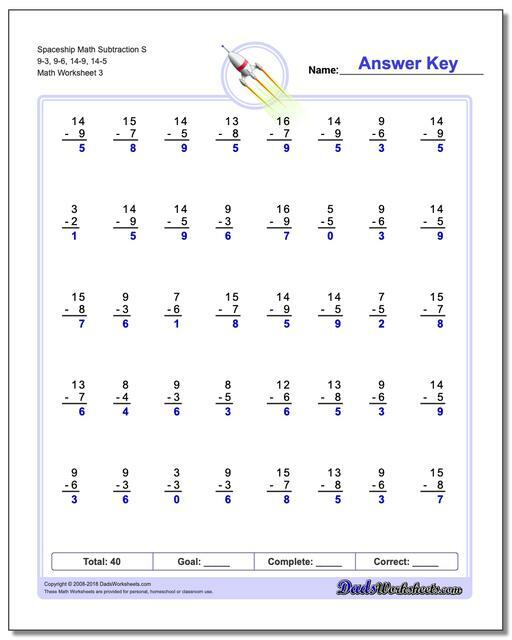 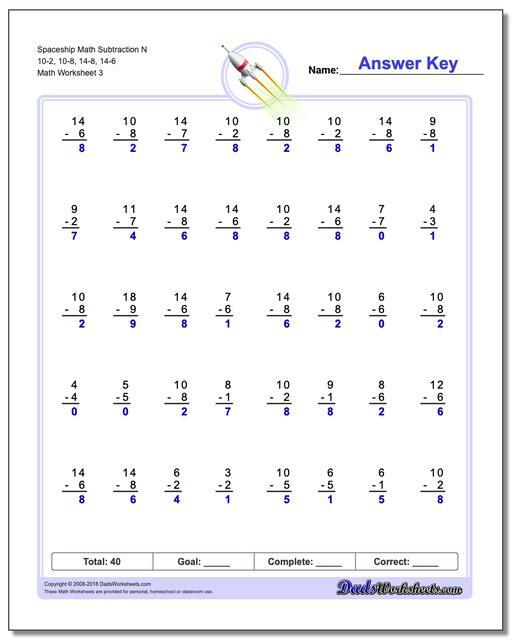 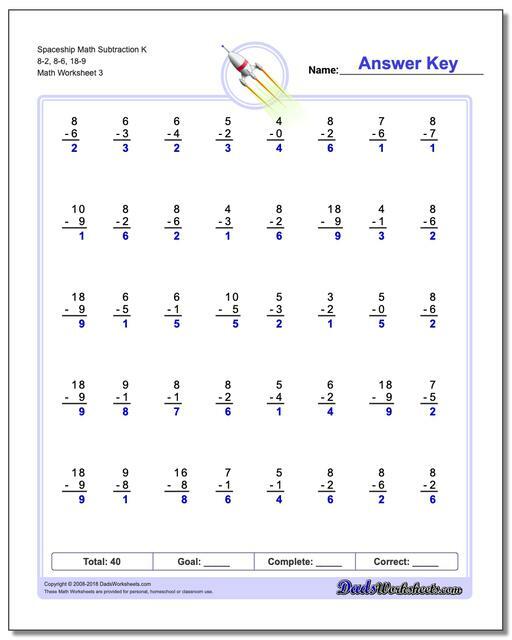 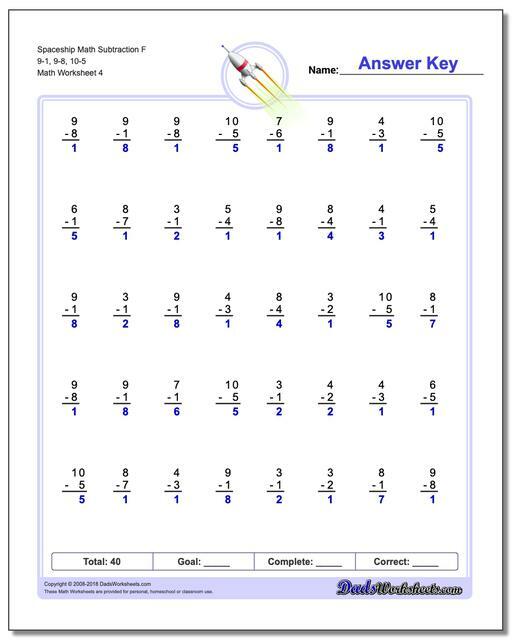 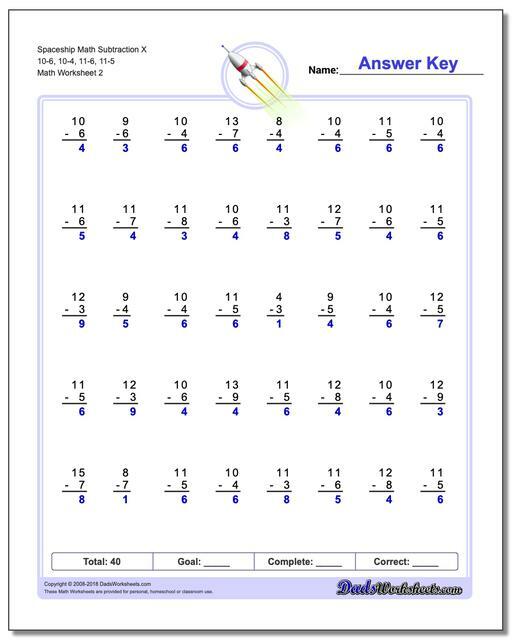 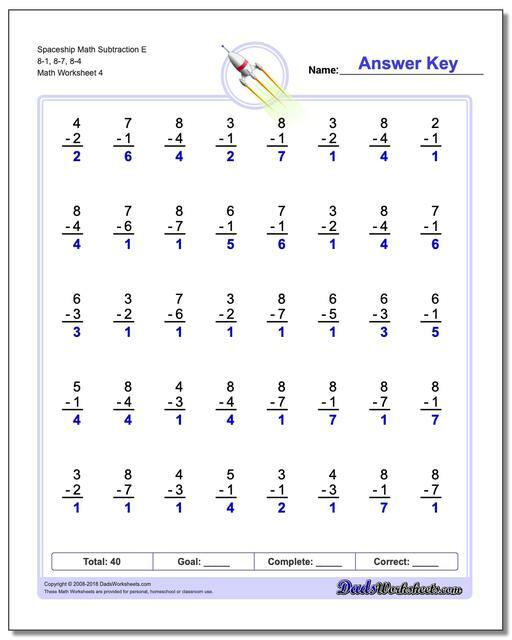 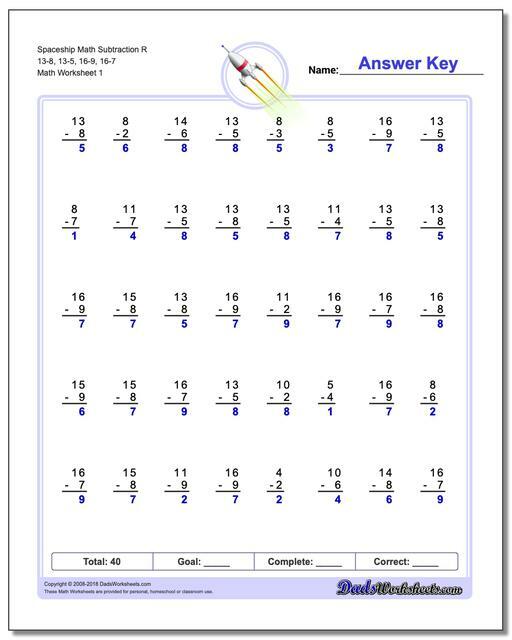 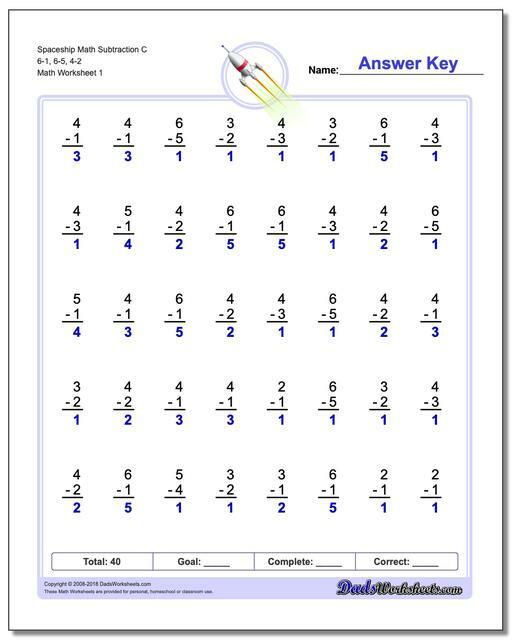 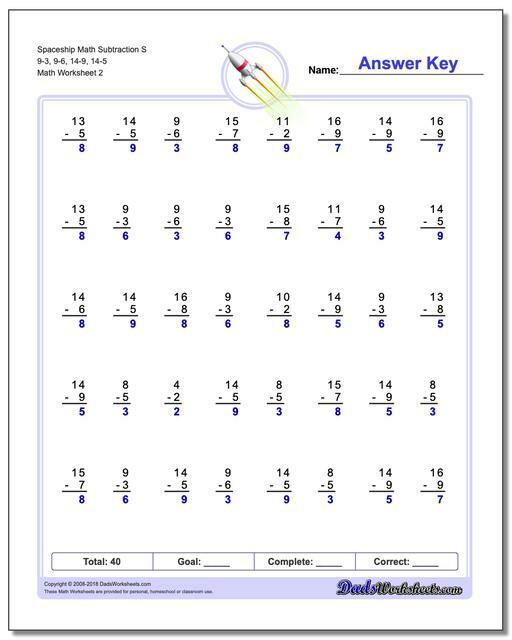 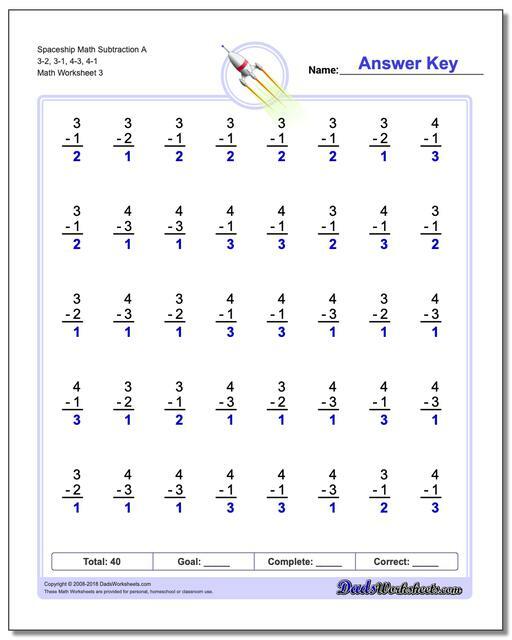 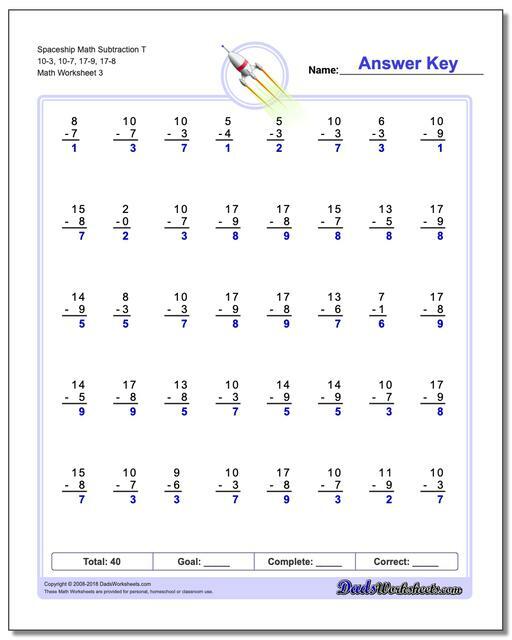 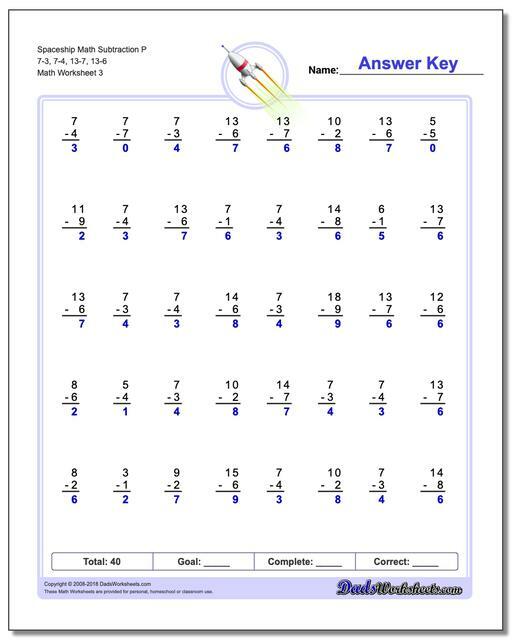 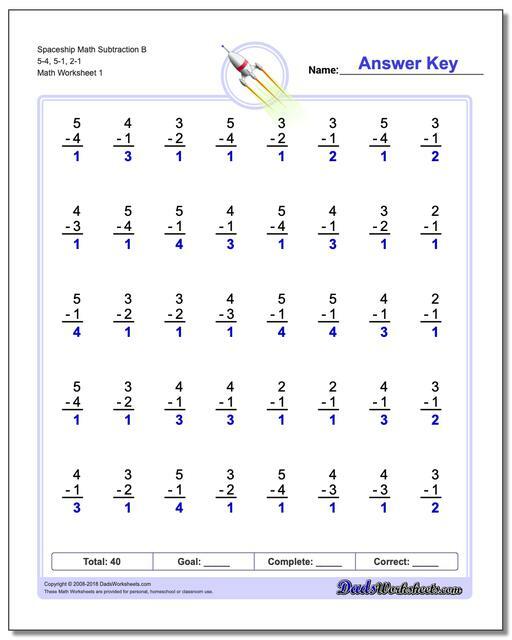 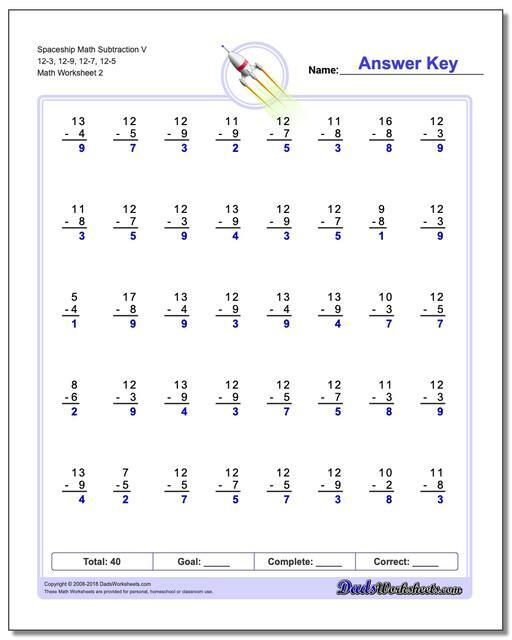 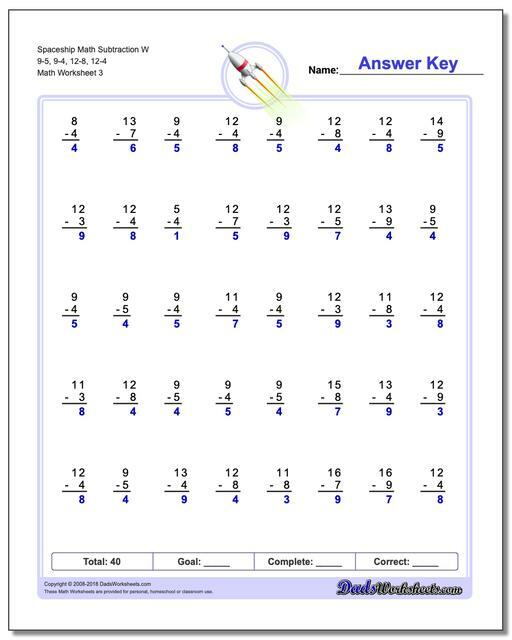 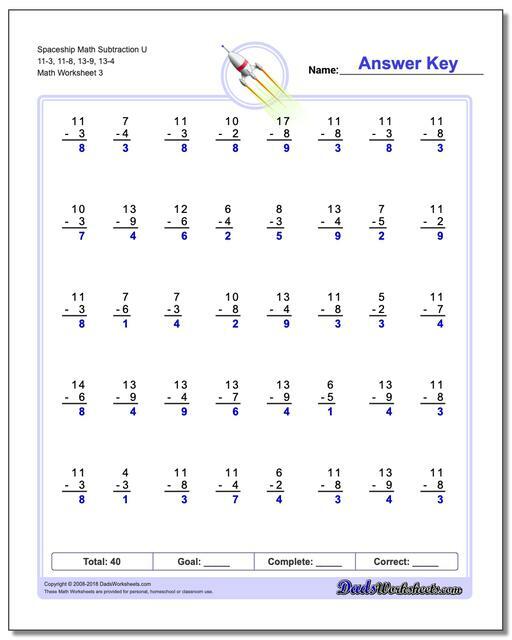 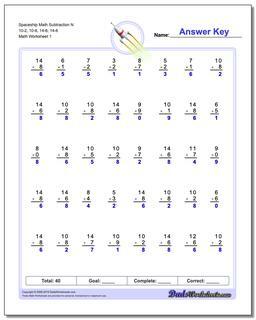 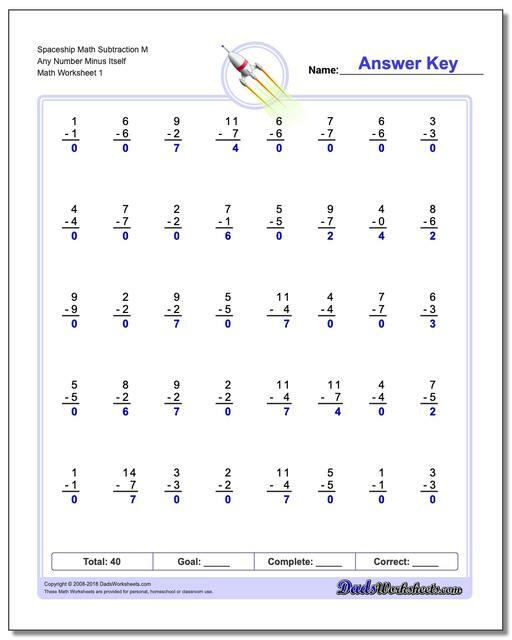 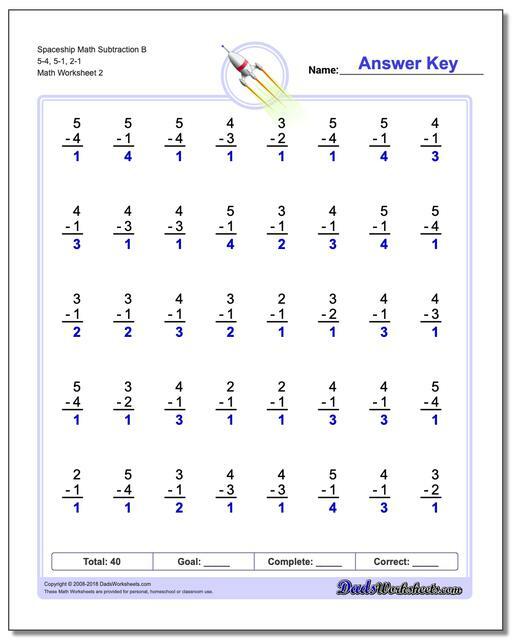 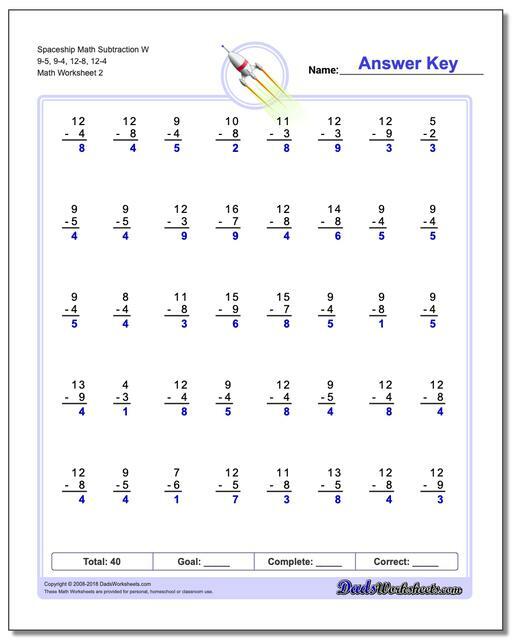 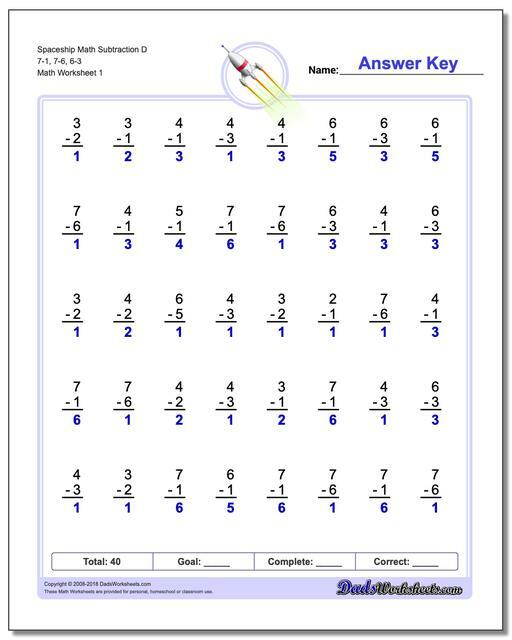 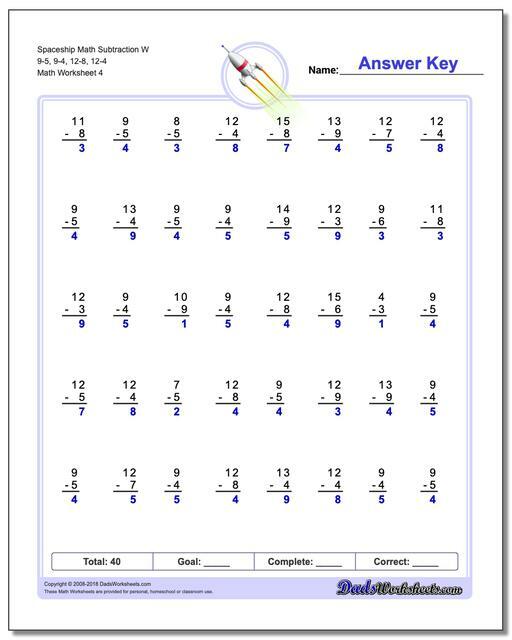 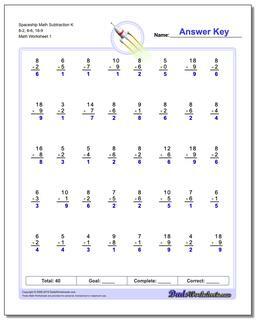 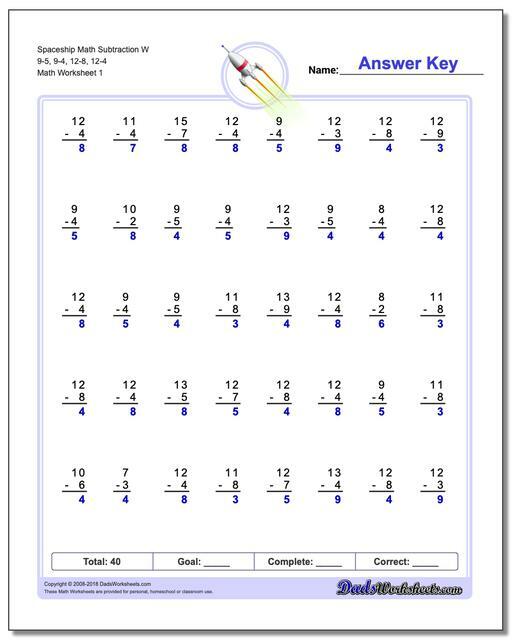 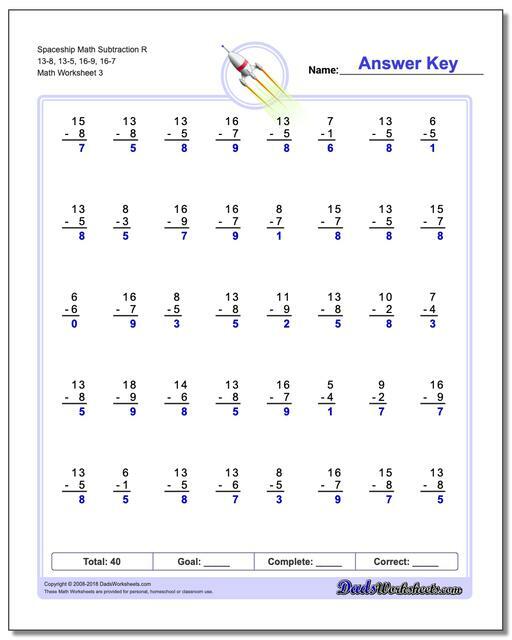 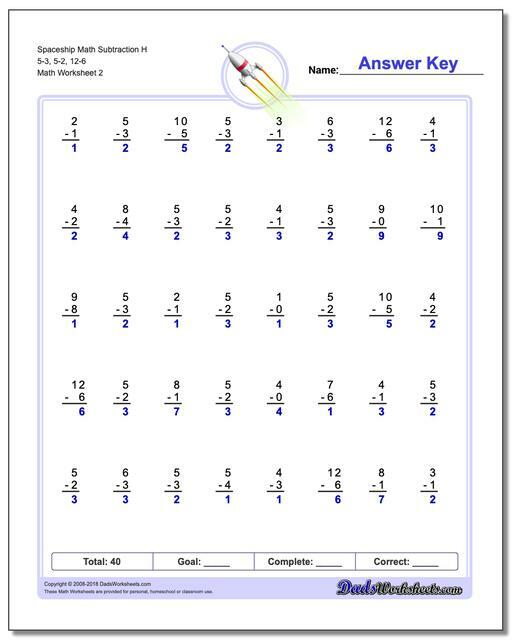 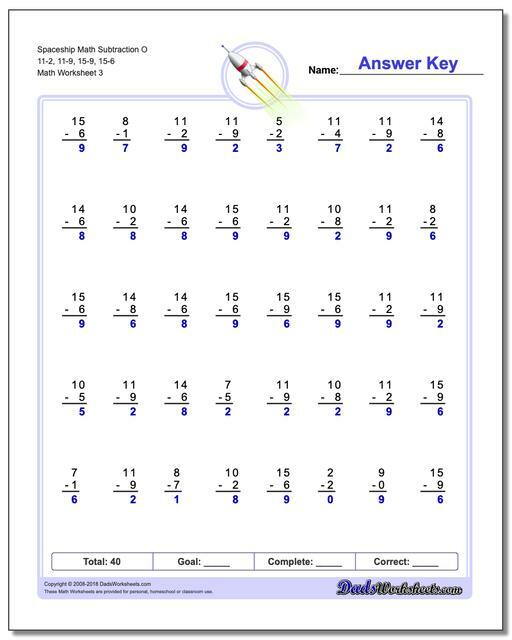 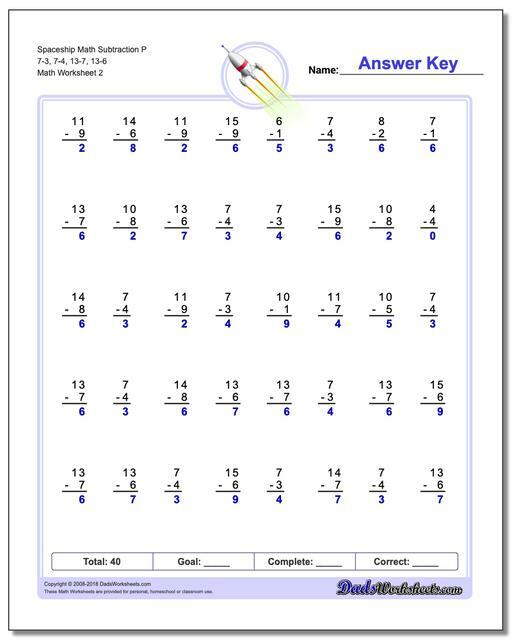 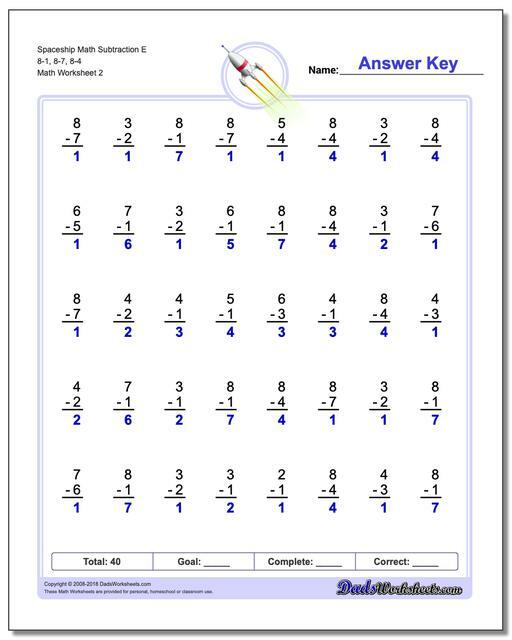 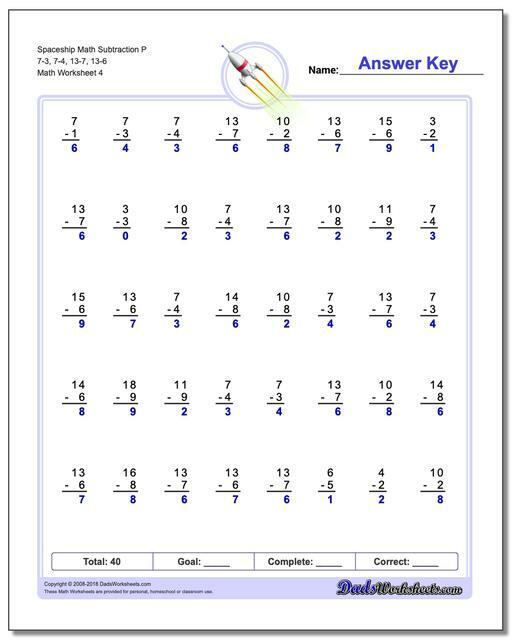 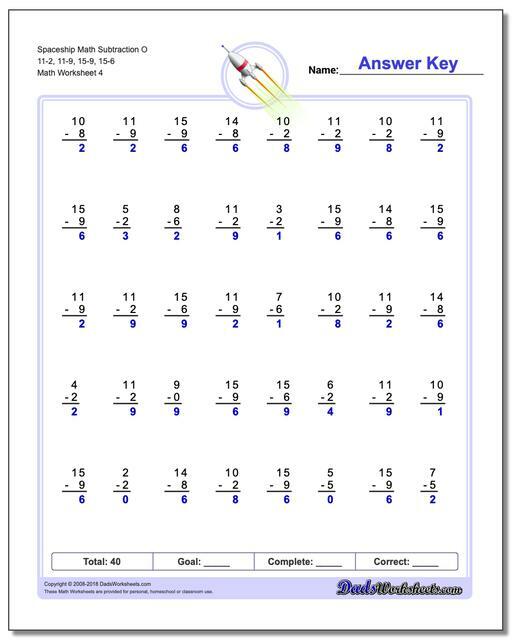 The subtraction worksheets in this section are similar to the RocketMath, Mad Math Minutes or Mastering Math Facts subtraction worksheets used at many schools. 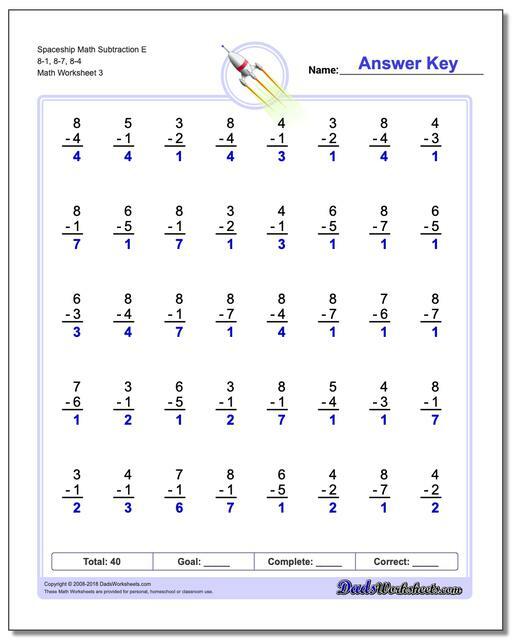 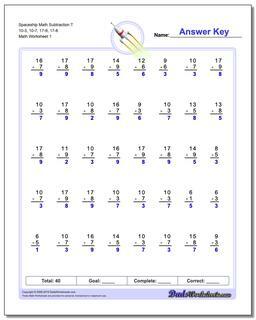 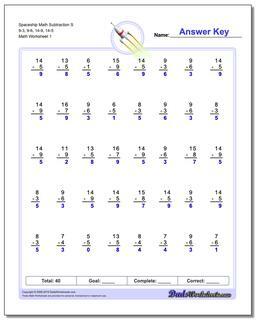 These are typically one minute, timed subtraction tests. 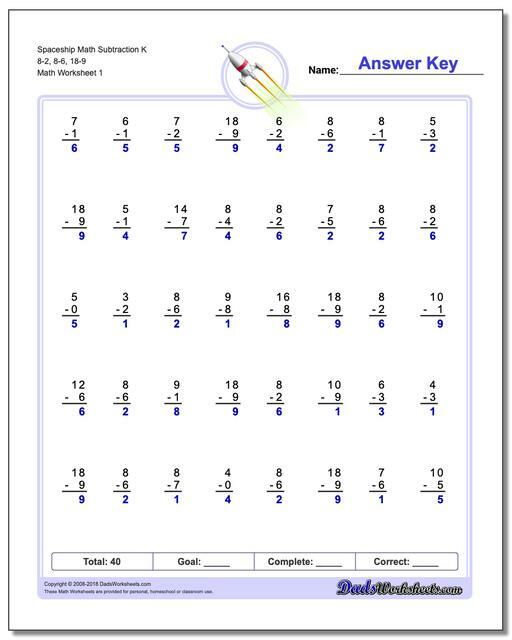 Try completing them with my super entertaining online timer if you or your kids are into silly sounds! 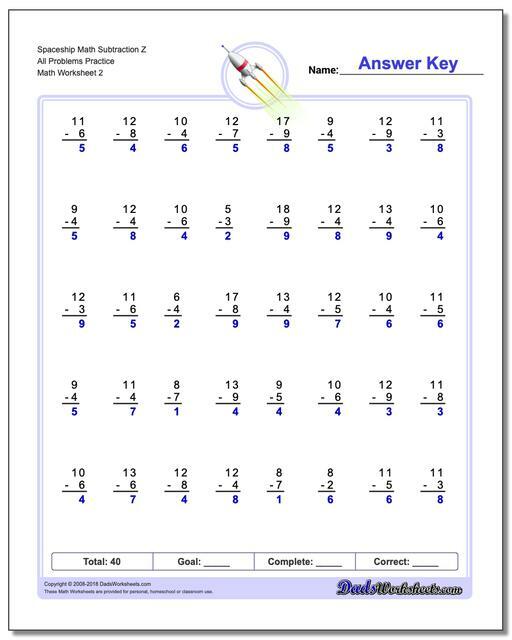 Are you looking for an organized way to teach the subtraction table, one that focuses on memorizing the facts but in way that gradually builds and reinforces the facts progressively? This series of subtraction worksheets is similar to the Rocket Math worksheets or Mad Minute Multiplication drills used by many schools. 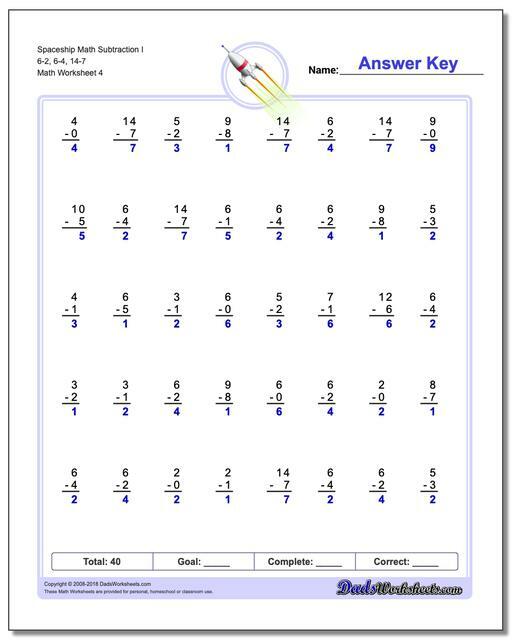 You begin with easy facts in the earier worksheets, and once the student can complete each level with only one or two mistakes, they advance to higher level where more subtraction facts are introduced. 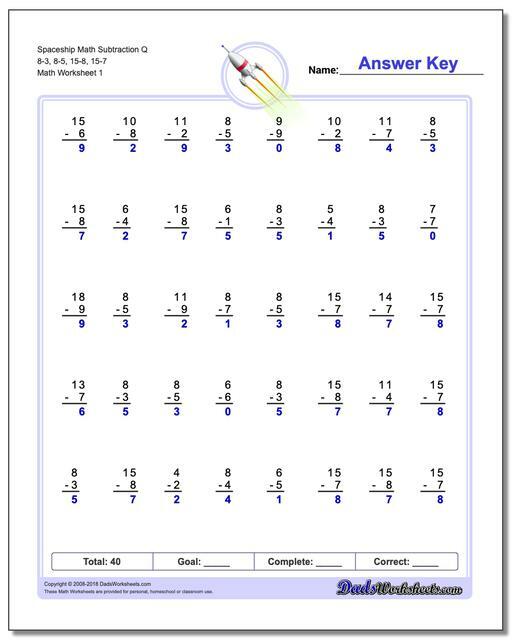 Each level has the new subtraction facts emphasized, so those facts become quickly familiar, while at the same time previous facts are repeated so that they are reinforced and not lost. 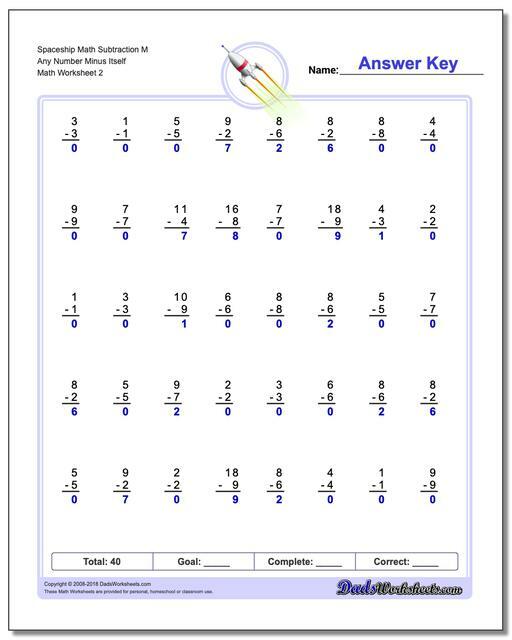 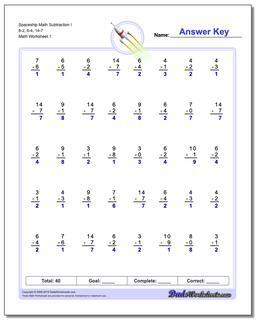 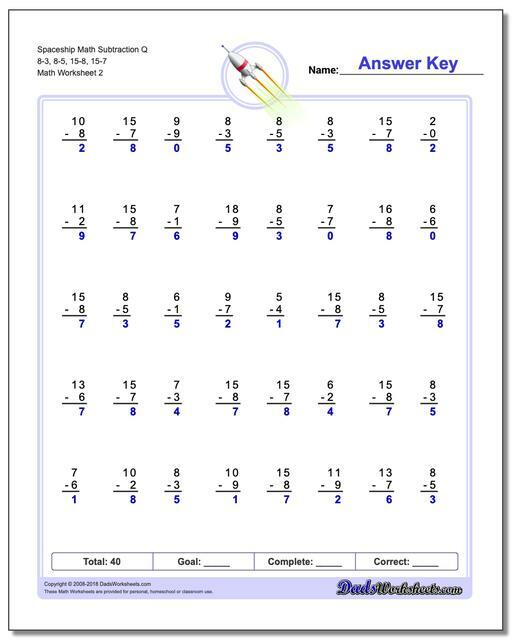 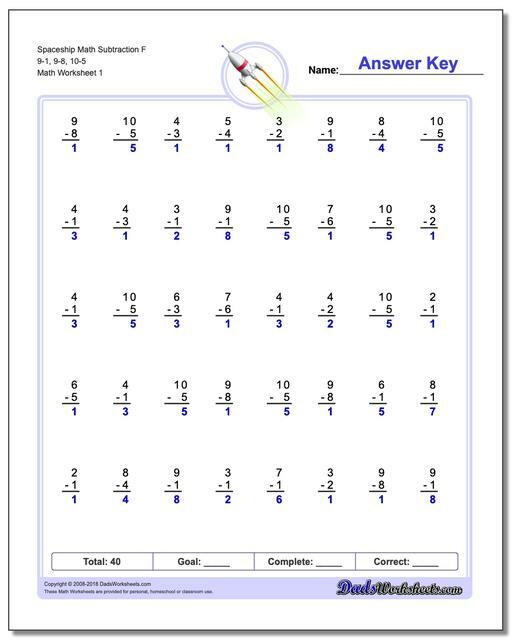 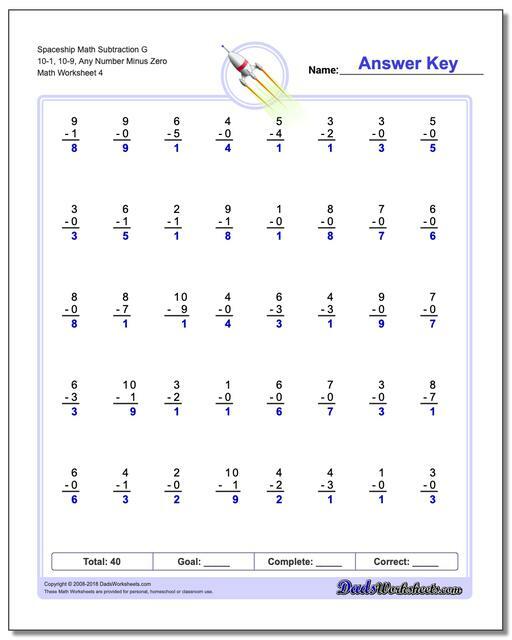 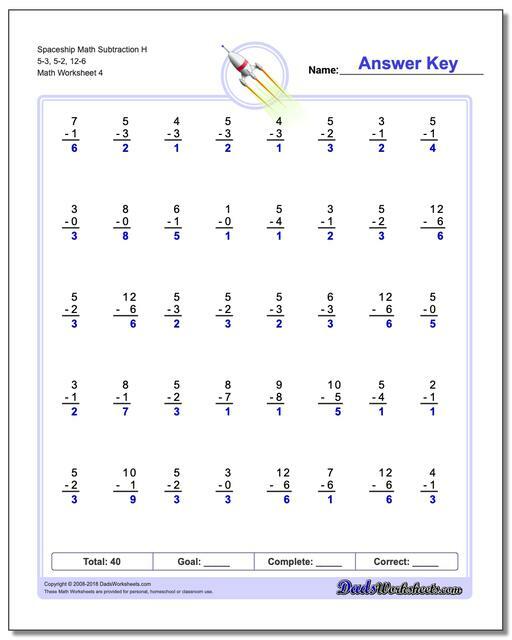 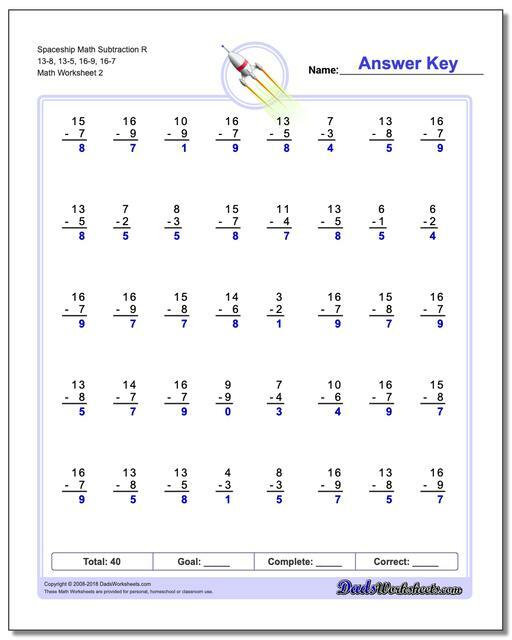 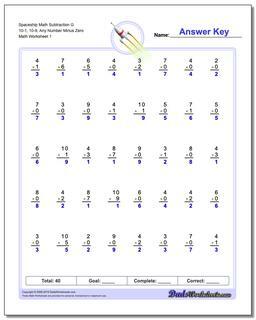 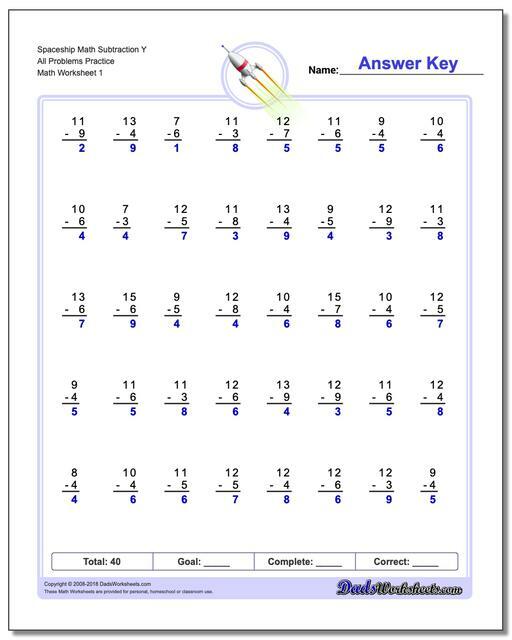 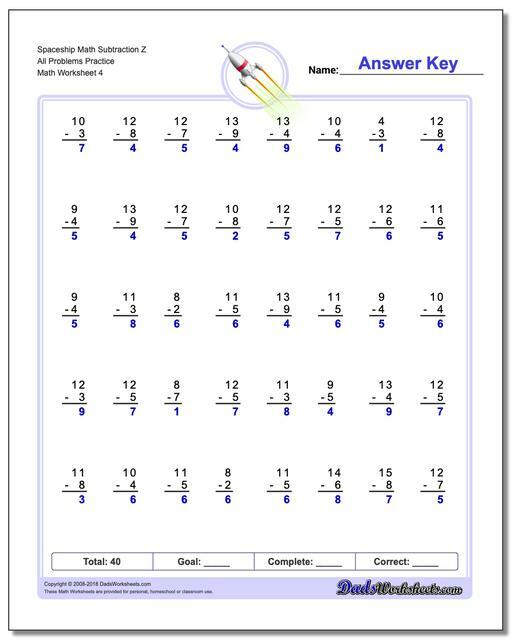 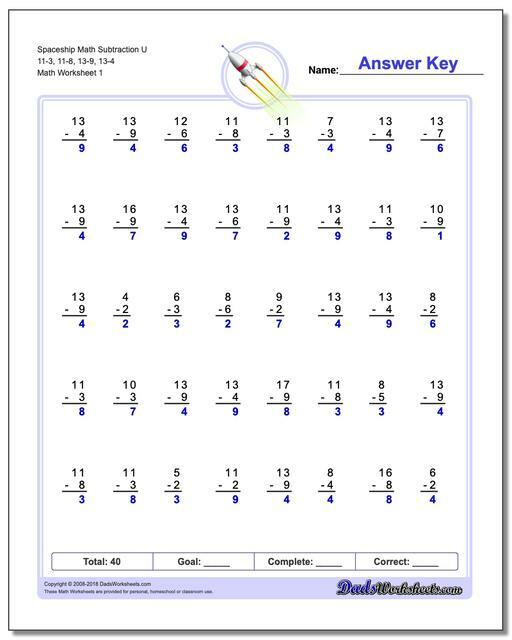 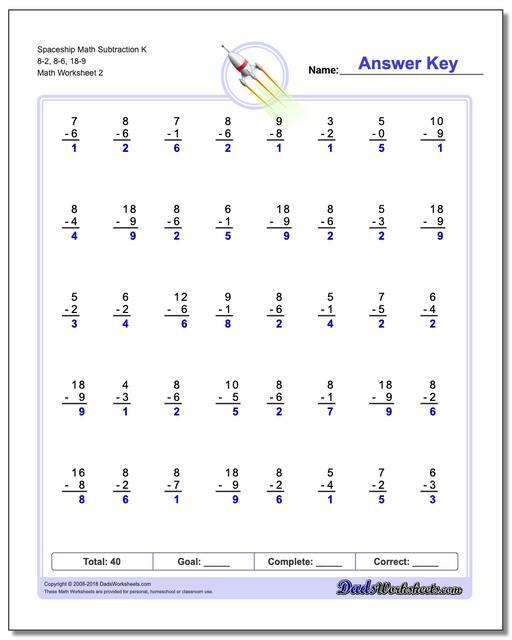 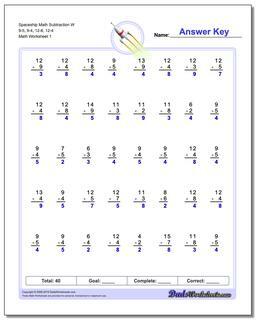 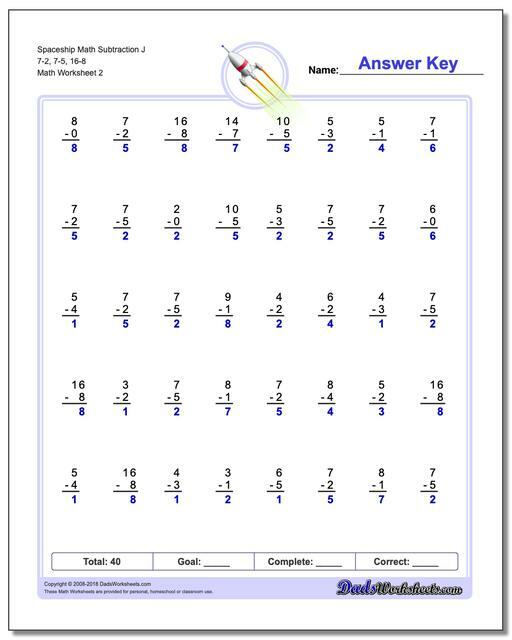 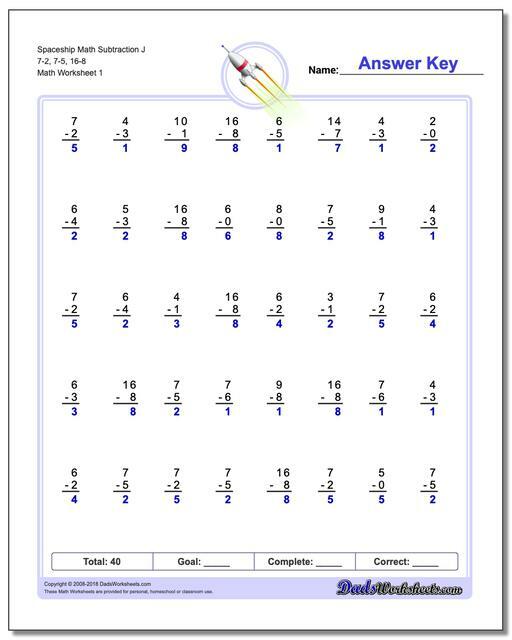 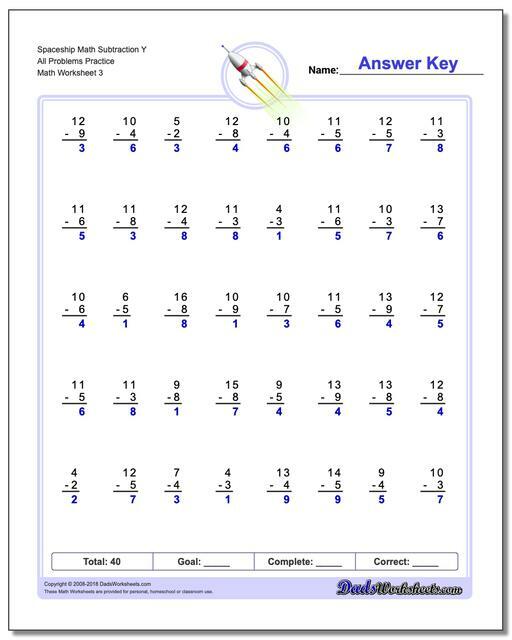 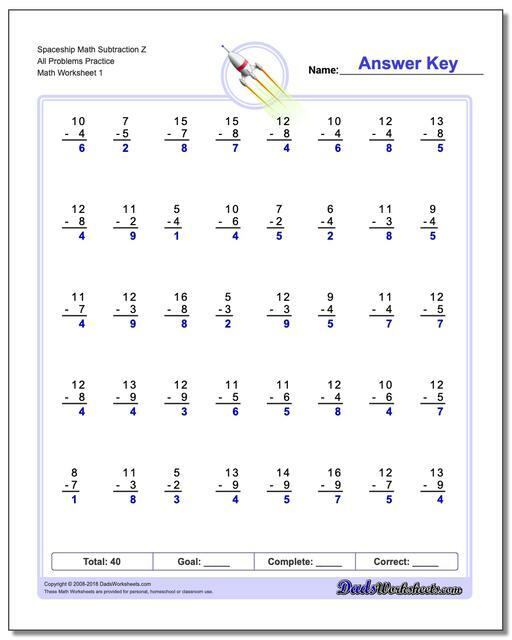 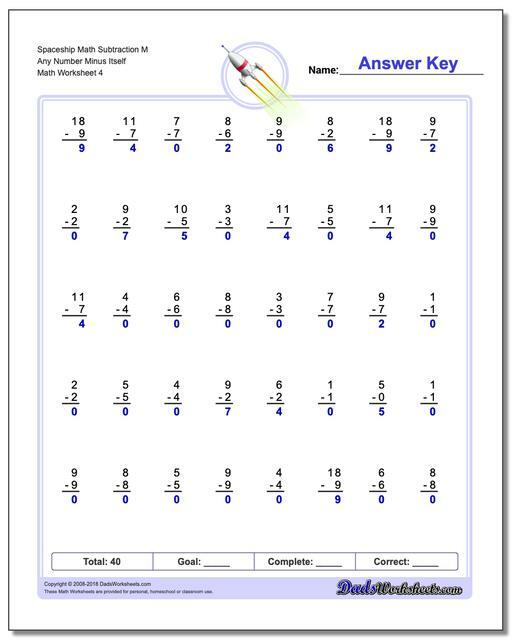 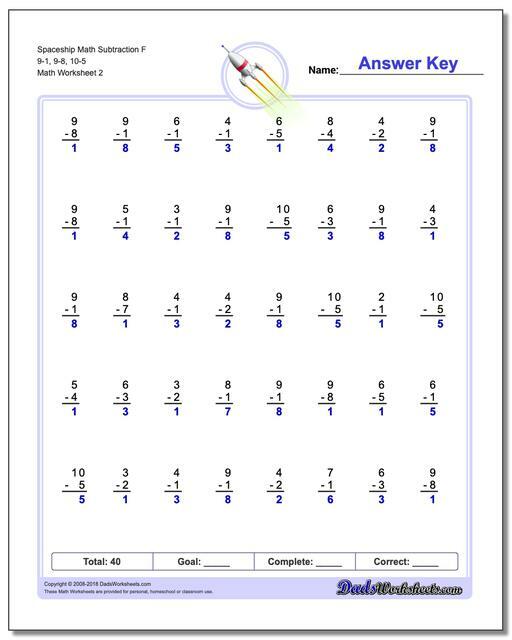 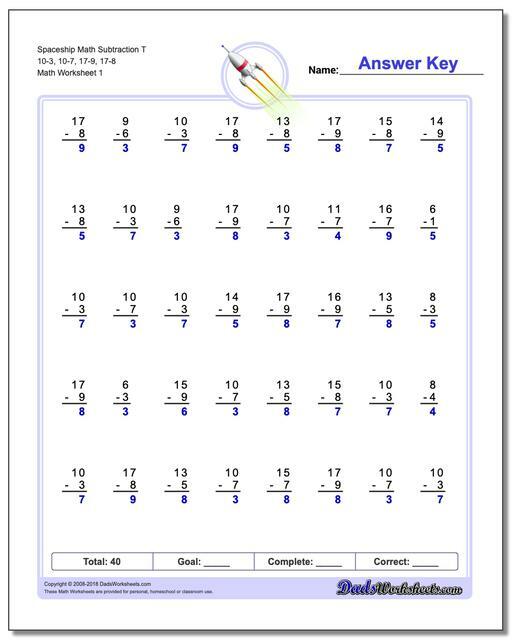 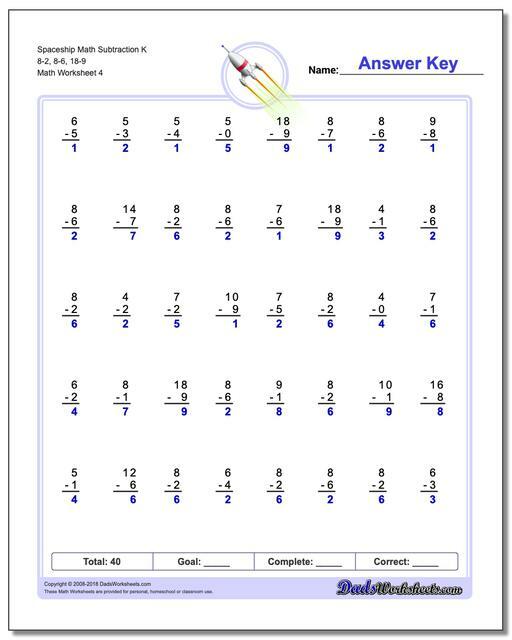 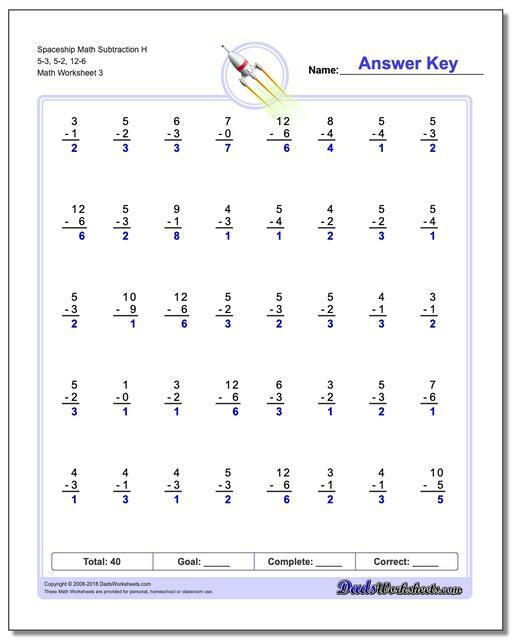 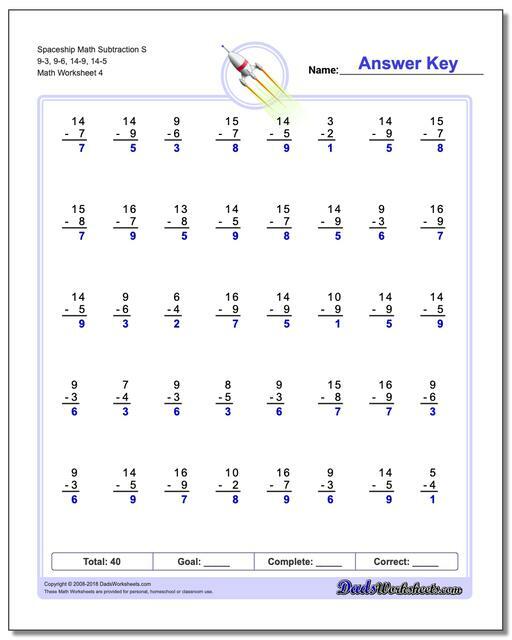 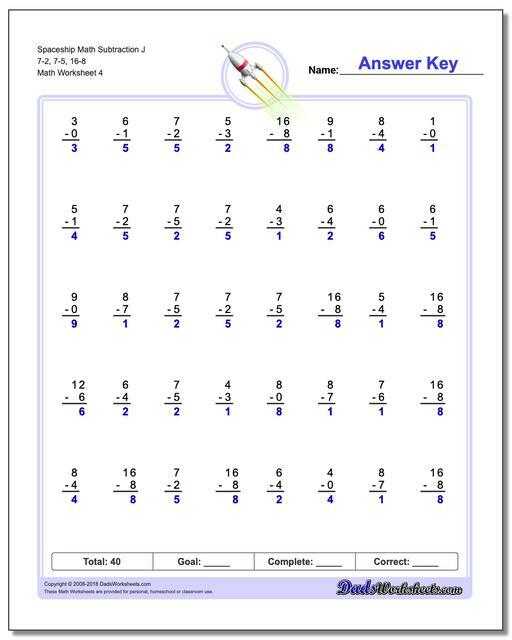 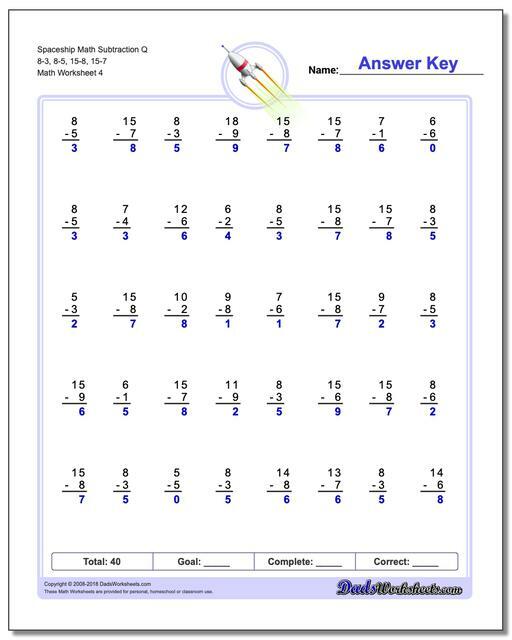 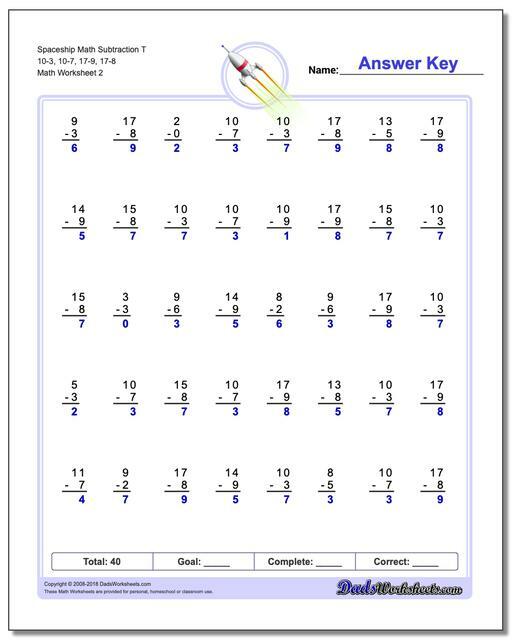 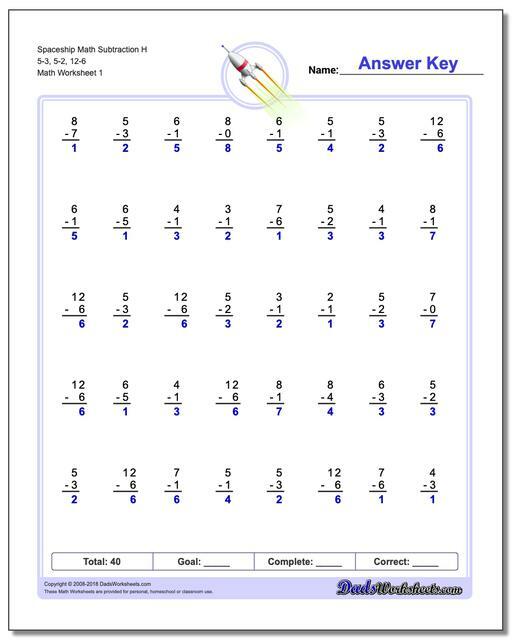 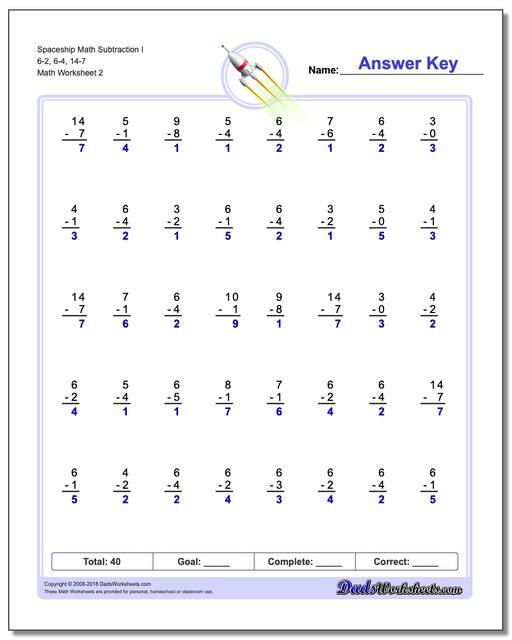 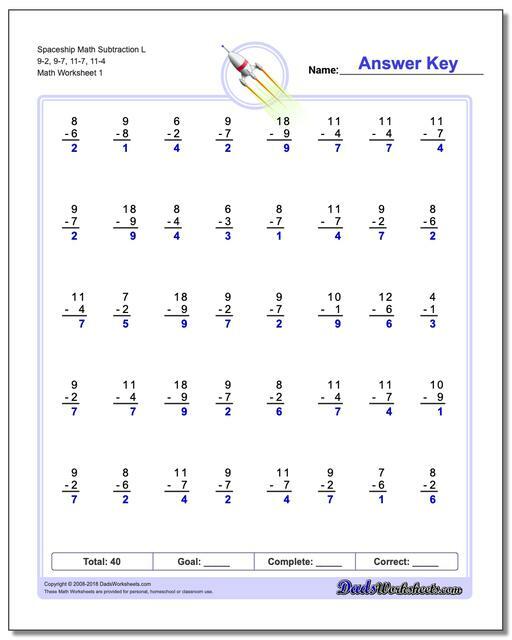 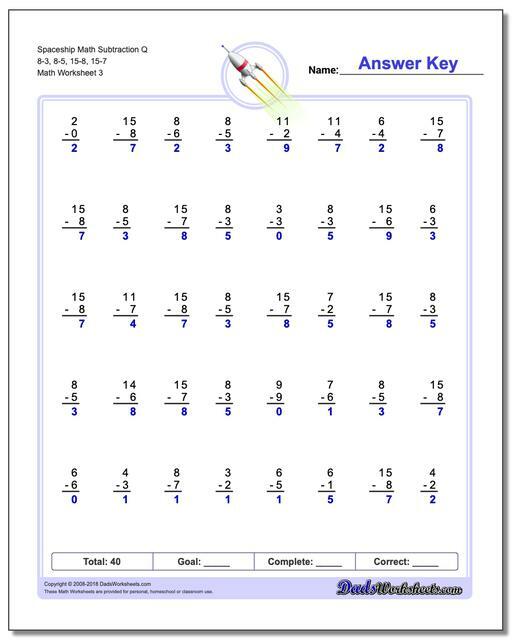 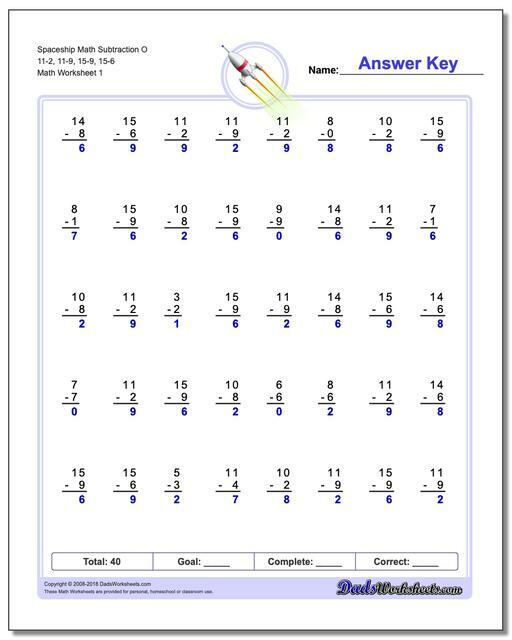 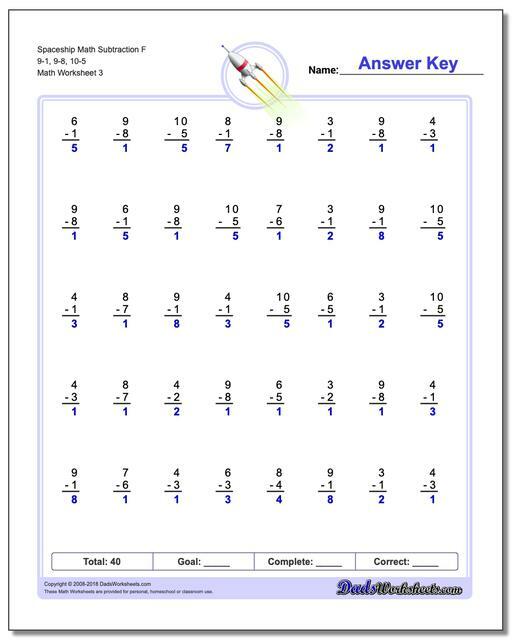 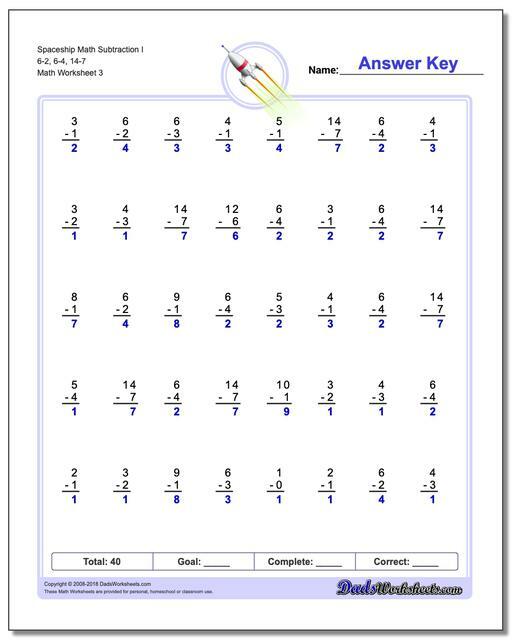 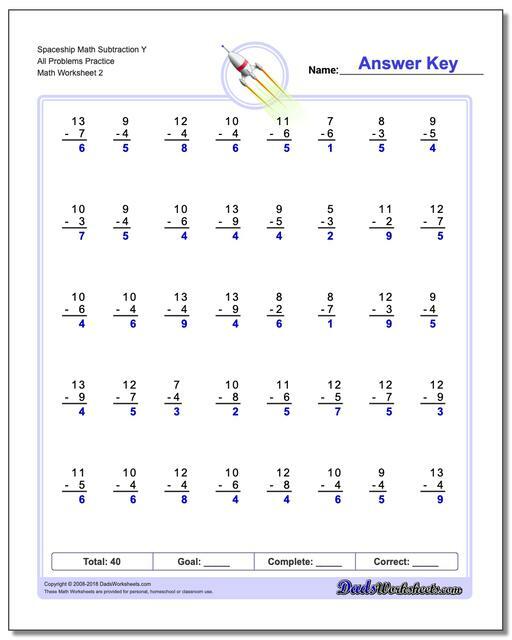 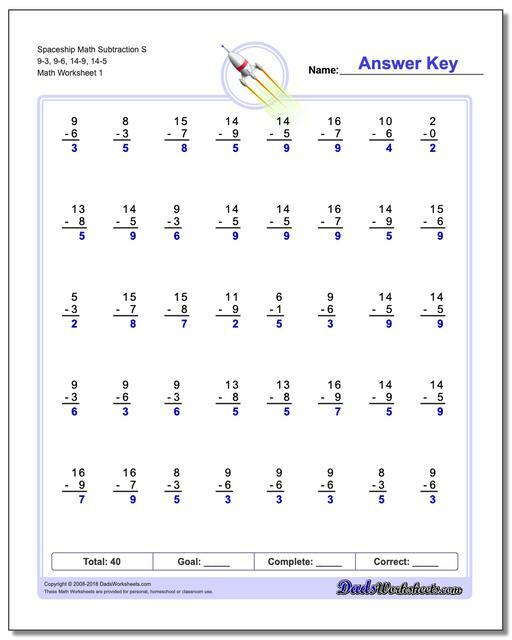 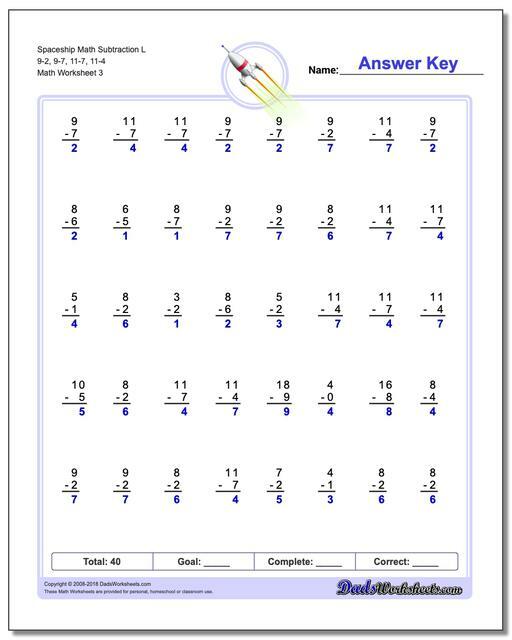 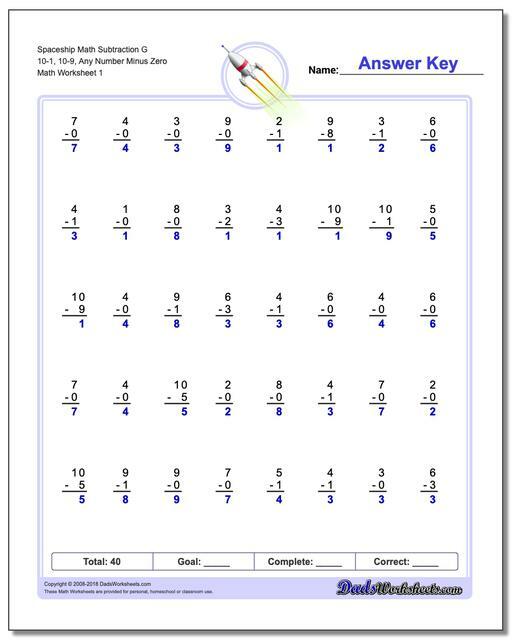 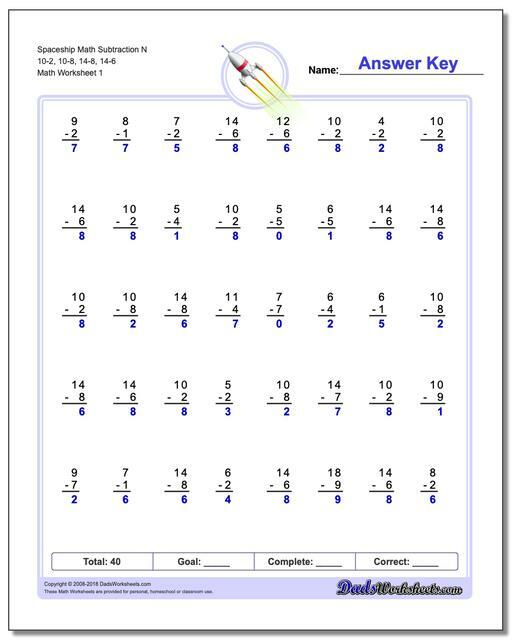 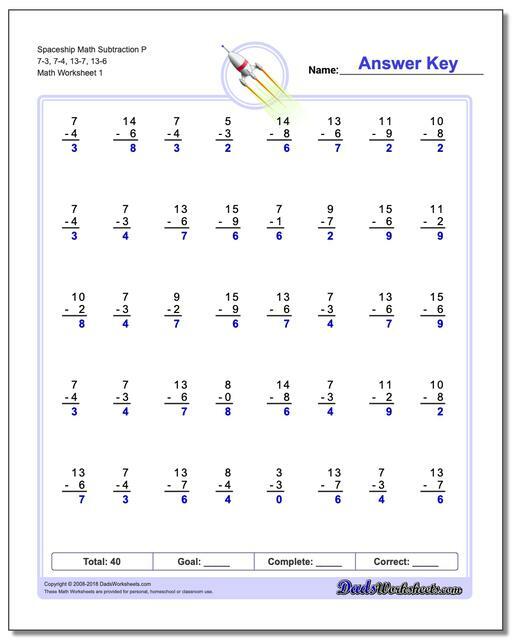 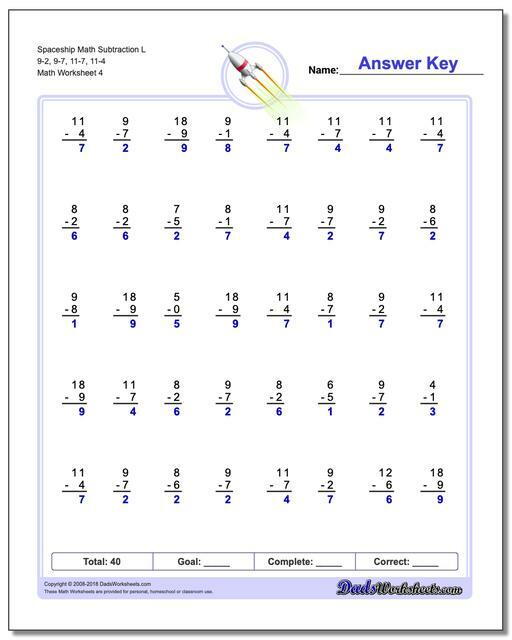 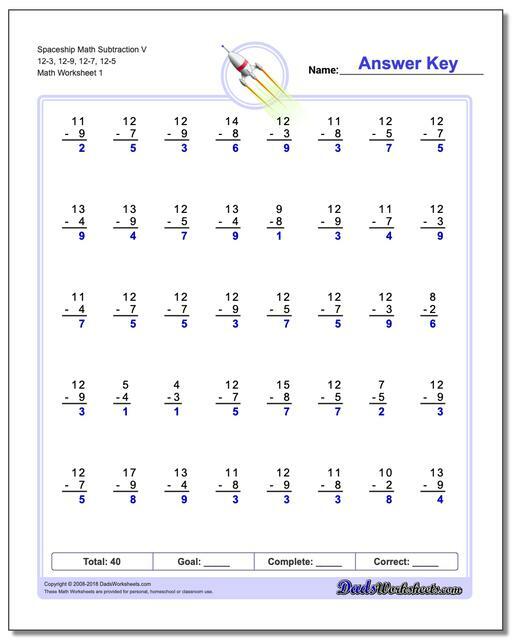 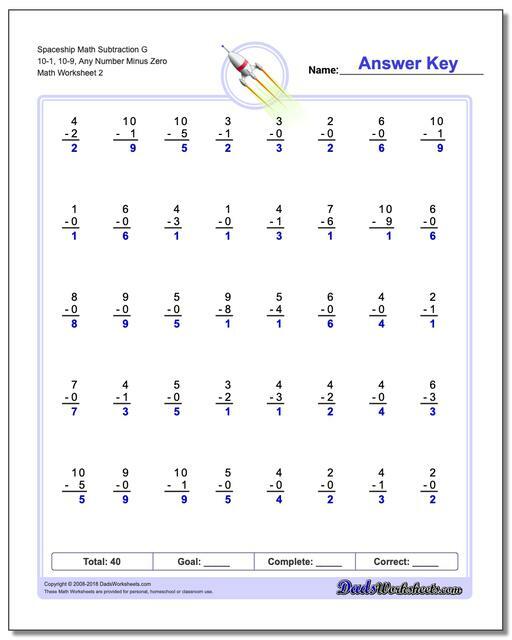 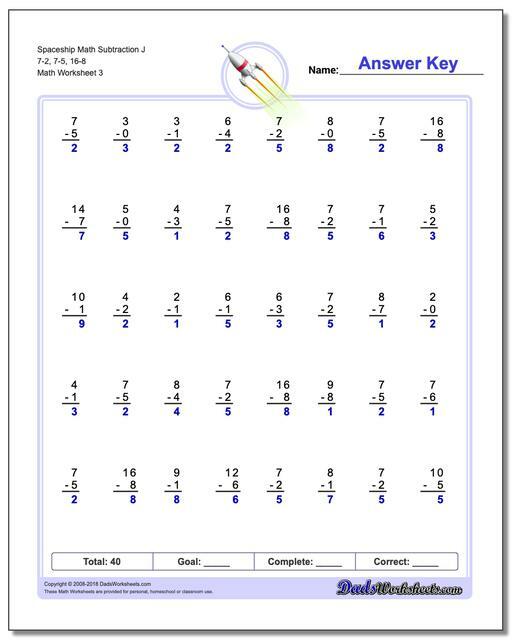 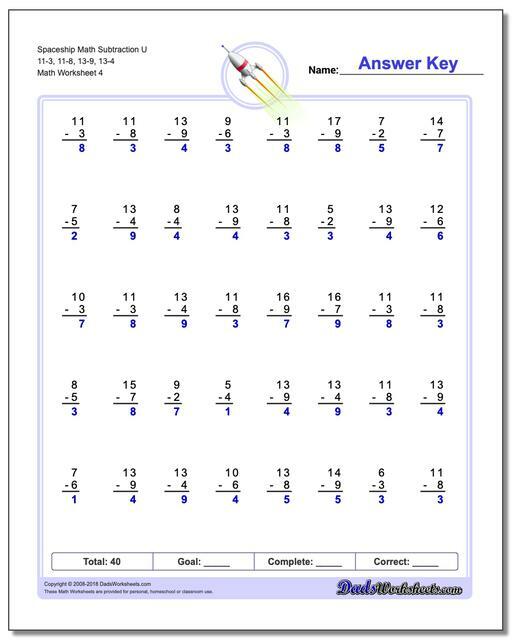 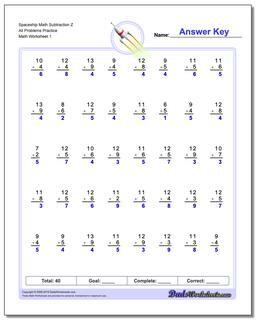 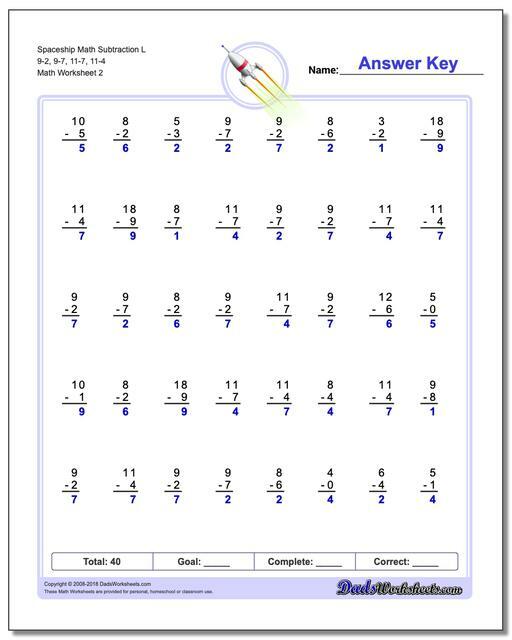 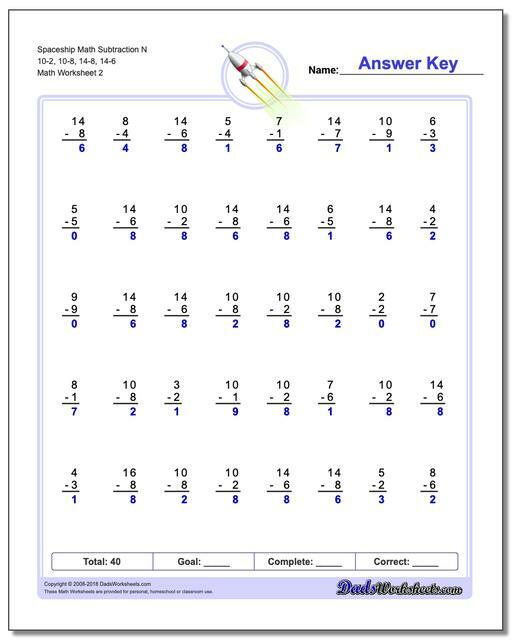 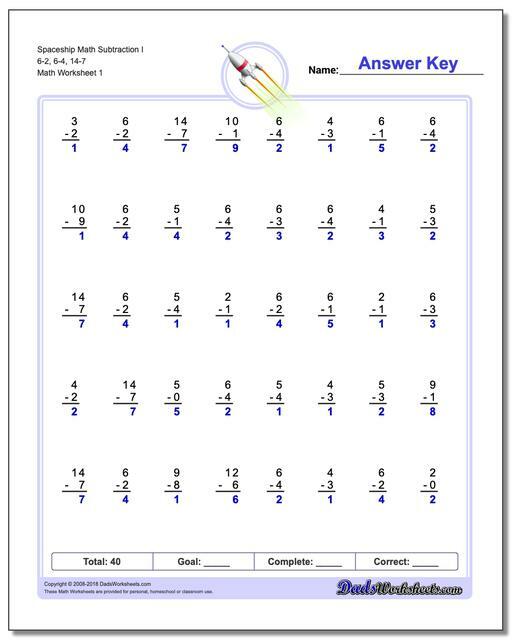 By the time a student completes this series of worksheets, the entire set of subtraction math facts is solidly memorized, and the last set of worksheets is a complete review of all of the facts.